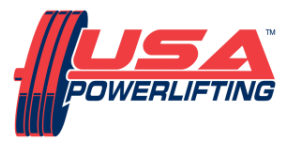 ﻿﻿The mission of USAPL CT is to provide an opportunity for all athletes who meet the criteria for membership in the USAPL to compete in uniformly high quality and drug tested powerlifting meets﻿﻿"
Strength is the primary ingredient of athletic performance. Powerlifting's lifts are the definitive measure of strength. Powerlifting is the ultimate strength competition. The powerlifting athlete competes in three specific disciplines, each designed to measure different areas of human strength. The sum or total of the best lift in each discipline determines the winner. Powerlifting is an exciting sport where athletes compete against the force of iron as well as other athletes. Powerlifting is an international sport practiced in over 100 countries across the globe. Athletes, men and women, from age 14 and upwards compete in given age groups and weight categories. Weight categories begin with 47kg women's class and end in the men's over 120g class (unlimited). Powerlifters are unique athletes competing in an exciting sport. They move massive amounts of weight in hi-tech supportive gear that protects against injury. Contests and appreciative fans can be found from Delhi, India, to Dallas, USA. 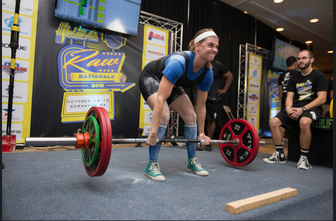 The unique powerlifting athletes compete in a wide variety of local, state, regional, national and international competitions. The three disciplines, in contest order, that make up the sport are the Squat, Bench press and Deadlift. The lift starts with the lifter standing erect and the bar loaded with weights resting on the lifter's shoulders. At the referee's command the lift begins. The lifter bends his knees and lowers him into a squatting position with the hips slightly below parallel position. The lifter returns to an erect position. At the referees command the bar is returned to the rack and the lift is completed. With his or her back resting on the bench, the lifter takes the loaded bar at arm's length. At the referee's command the powerlifter lowers the bar to the chest. On the chest the bar must be held motionless until the referee gives the “press” signal. The powerlifter pushes the weight up until the arms are straight and the elbows locked. Then the referee will call 'rack' and the lift is completed as the weight is returned to the rack. The deadlift is often described as the king of the powerlifting disciplines. In the deadlift the athlete grasps the loaded bar which is resting on the platform floor. The powerlifter pulls the weights off the floor and assumes a standing erect position. The knees must be locked and shoulders back with the weight held in the lifters’ grip. At the referees command the bar will be returned to the floor under the control of the lifter.